This week was a time of transition. The work finished for this year in Mwanza. There was a journey to Dodoma. 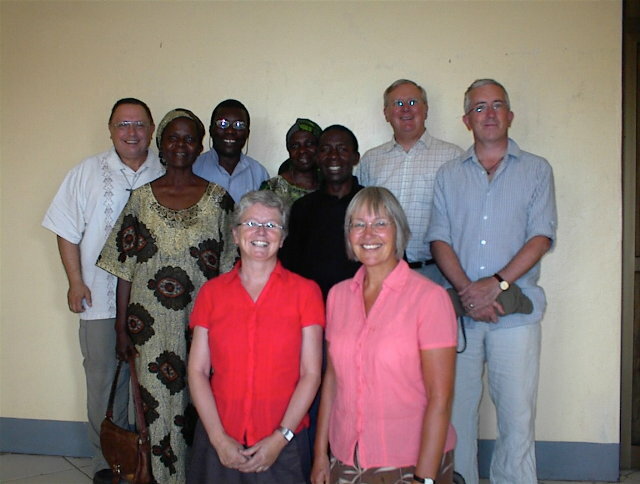 Then the work for this year began in Dodoma. 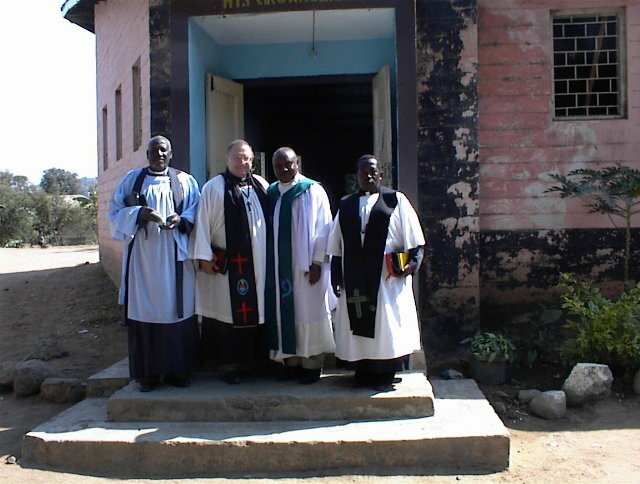 For this trip, the teaching work finished in Mwanza, Diocese of Victoria-Nyanza. It has been well received. The eleven clergy students saw their ministry transformed not just by new knowledge, but also by new values and attitudes and deeper ways of thinking and evaluating. Renewed priesthood. All from the Scriptures. The men witnessed to that renewed priesthood as we celebrated the closing of class in worship and song. One spoke of how he didn’t know how much he didn’t know. Another spoke of a journey from a ministry of laws and rules to a ministry of love and service. Another spoke of loneliness as a priest alone in a distant village and how he now had brothers to work with. Many mobile phone numbers were exchanged and many pictures taken. Over and over again, “thank you for coming. Come again! Stay longer! We will tell our brothers!” Handshakes were replaced by hugs. Other service in Mwanza. Assisting in the eight day diocesan spiritual revival – the first one in sixteen years, led by retired Bishop Alpha Mohamed and Lay Canon David Hodge, both former Muslims. New blessings, new healings, and new freedoms of “Roho Mtafitika” – the Holy Spirit. Parish visits to St John in Nyamanoro and to St Peter in Igogo. Both parishes are searching for twin parishes in America – to become friends with. Any St John’s Parish or St Peter’s Parish out there want a friend in Africa? At the APA Synod in Belleville, a deacon from St Stephen in Louisville gave his own pectoral cross to bless a brother in Tanzania. 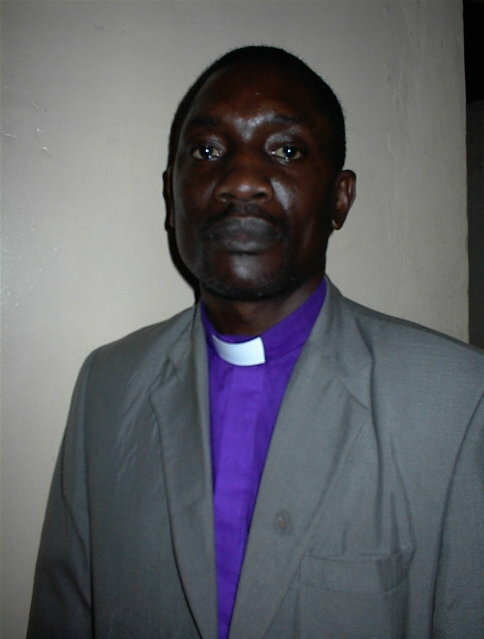 Rev Captain Nestor Muheta, secretary to Bishop Kwangu, now sports a new pectoral cross and says thank you! Bus journey to Dodoma – 12 hours in the bus! Five hours on bumpy and dusty roads, the rest on paved roads. Many Africans on the bus wrapped themselves in special cloths they brought – wish I had known that – DUST! 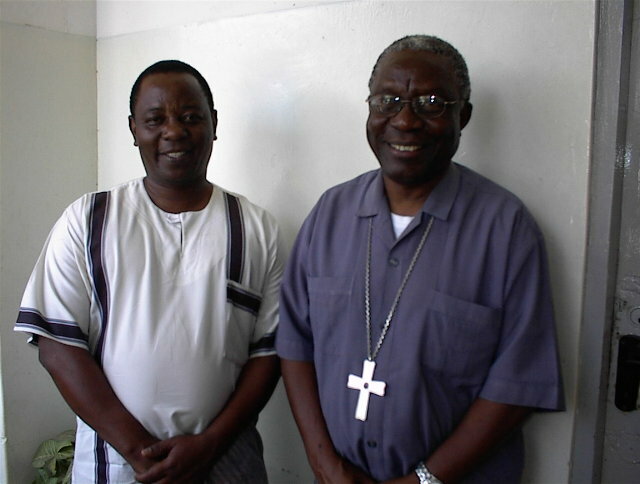 Arrive exhausted in Dodoma – met by Bp Chidawali and friends. Taken to hotel – a place of rest – very acceptable. Shower, eight hours sleep and morning devotions gave renewed strength! Met with Fr Elia, principal of Buigiri Bible School to plan course of instruction. Class has started. Students included uneducated clergy and some others preparing for ordination and leadership and teaching. Seven full time students in the class, including the wife of a pastor who leads a church school and a young single woman who is preparing for a ministry in teaching. Initial classes went well and people were amazed at how much they learned. Their hope – my visit will give new life to the school. The school received with joy the donation from APA Holy Spirit Church in Alabama. Thank you for your support. God and you make this possible. Please keep on supporting this mission. Please sustain this good ministry. It works!